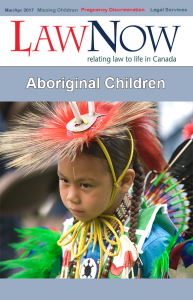 Canada’s Aboriginal children have been and continue to be among our most vulnerable citizens. Aboriginal children often have dual citizenship in one or more Indian bands. This complicates things! Thousands of Aboriginal children are missing or unaccounted for. The Truth and Reconciliation Commission wants to know what happened to them. How long must Aboriginal Children wait to receive funding equal to other Canadian children? Onion Lake Cree Nation is undertaking an Indigenous law-making and governing process. Changes in technology have made it possible to think in entirely new ways of addressing the law, legal information and legal services. Canadian lawyers are learning that they can’t practice law in the same old ways. There is a lot going on in the interface of law and technology. Let’s explore what’s out there.